Connect Fiji - Want to know about the company? 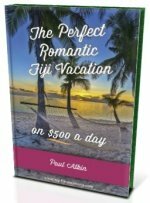 Want to know about Connect Fiji? It's the leading internet service provider in Fiji. Read up from it's exclusive licence beginnings in 1995 until it's strong brand today. Connect Fiji is the leading internet service provider in Fiji. It is owned by Telecom Fiji Ltd.
Connect starting operating in 1995 under the name Internet Services Fiji Limited, a product within Telecom Fiji Limited (TFL) Group. It started with an exclusive licence to provide internet services throughout Fiji. The same year, it introduced the first dial-up internet packages to the Fijian market in both the corporate and residential areas. In 2002, it was made a subsidiary and re-branded 'Connect'. 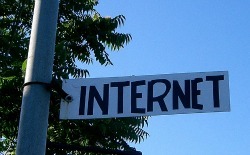 In 2005, it invested in broadband speed technology ADSL and CDMA. Today, it is no longer a subsiduary of TFL, it has gone back to being a product of TFL. Telecom Fiji Limited (TFL) is the sole provider of local and national telephone services, and owns the only public switched telephone network in Fiji. As stated on their website: "TFL provides and operates telecommunication services in Fiji under the provisions of the Post & Telecommunications Decrees 1989. This license gives the company a monopoly on the provision of network services, but the provision of telecommunication equipment is open to competition." Telecom Fiji Ltd is owned by Amalgamated Telecom Holdings LTD. Today, TFL is one of Fiji's major companies. For more information visit their site http://www.tfl.com.fj/. Connect started with an exclusive licence but that has been taken away. Today, there is one other fixed broadband provider and a few mobile data providers. For more information, visit it's website at http://www.connect.com.fj/.